UpstreamRE, LLC, the broker-owned company responsible for the Upstream data management solution, announced today that Alex Lange has been named president and CEO, effective June 1. Lange is the first employee to be hired for the highly-anticipated initiative. In his role, Lange will work with the Upstream™ board of managers to ensure that the organization has a well-articulated, long-range strategy in addition to a successful initial launch. A primary task will be to monitor the operational and technical work of Upstream’s vendor, Realtors Property Resource (RPR), and ensure that software development, testing and implementation remain on schedule. He will establish working relationships and cooperative arrangements with all stakeholders, including brokers and agents, MLSs, vendors and partnering organizations. A graduate of Harvard’s General Management Program, Lange got his start in technology in the U.S. Army before entering the private sector as managing partner of IKON Technology Services, where he worked with major e-commerce sites, business-to-business development for major corporate partners, data warehousing for Hewlett Packard and other significant enterprises and Intranet systems. Lange co-founded and served as chief technology officer for Roost.com, a successful social marketing platform which raised more than $12 million in venture capital and was recognized for its innovative new technology ultimately being acquired by Vertical Response. 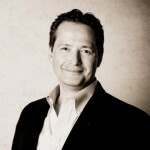 He later served as chief technology officer at Market Leader, a SaaS solutions (CRM, websites, print marketing, etc.) for real estate professionals, where he played a key role in building it from a $40 million market cap company that he joined to a $380 million acquisition by Trulia less than four years later. While at Market Leader, Alex was included in the Global Top 1,000 Chief Technology Officers (Bloomberg, S&P, The Global Leaders). Most recently, Lange served as “entrepreneur in residence” and operating partner of Second Century Ventures – the strategic investment arm of the National Association of Realtors (NAR) – where he identified, evaluated and executed strategic investments and coached existing portfolio companies to increase value. The nationwide search process for Upstream’s CEO, which utilized the services of Orlando-based Corporate Management Advisors, began in earnest in January. In addition to Cheatham, O’Connor and Sylvester, the Search Committee included Steve Baird, Baird & Warner, Chicago; Rick Haase, Latter & Blum ERA, New Orleans; and Bill Riss, Coldwell-Banker Bain, Seattle. A number of very qualified candidates were considered for the position, with Lange being the top pick.